Are you giving your employees everything they need to succeed? Or is your online training course falling short of expectations? In this article, I’ll highlight eight things that today’s tech-savvy modern learners expect to see in an online training course. Modern learners have unique training expectations that would have been unimaginable in the past. Training sessions used to consist of printed manuals that employees would scan before taking a test or signing acknowledgment forms. Today, they are dynamic, online training experiences that feature the latest tech tools. But, what are your modern learners really looking for when they log in to an LMS? Newfound knowledge isn’t of much use unless employees can apply it in real-world situations. Thus, online training courses should give them ample opportunity to use the information in a realistic context, as well as put their skills into practice, for example, by integrating branching scenarios and interactive online training simulations. Real-world examples and stories also tie the subject matter into work-related applications. For best results, use true-to-life online training characters, challenges, and settings to enhance immersion, such as customer personas that customer service staff may encounter on the job. Life is a series of social interactions. We interact with customers and clients during the course of our workday and then engage in conversations with friends and family in our personal lives. Thus, modern learners expect collaborative online training activities. For example, online group collaboration projects that allow them to problem-solve with peers or social media discussions that allow them to see things from a different perspective. You can also integrate corporate eLearning blogs, closed groups, and online discussions to facilitate social interactivity. Even experienced staff members struggle from time to time. Thus, they need a just-in-time online training library that allows them to overcome obstacles immediately instead of having to wait until the next formal online training session. Modern learners are looking for bite-sized online training resources that help them fill gaps and achieve their objectives. Furthermore, your online training library must have a broad range of online training tools that accommodate diverse learning preferences. For example, podcasts for auditory learners and serious games for those who prefer tactile experiences. Focus on a single learning objective or outcome for each bite-sized online training resource to avoid cognitive overload. Keep in mind that your employees are just looking for the information they need to solve the problem. Other facts and figures can be reserved for comprehensive coursework. Online training used to involve dedicated computer terminals that featured the downloaded software or CD-ROMs. 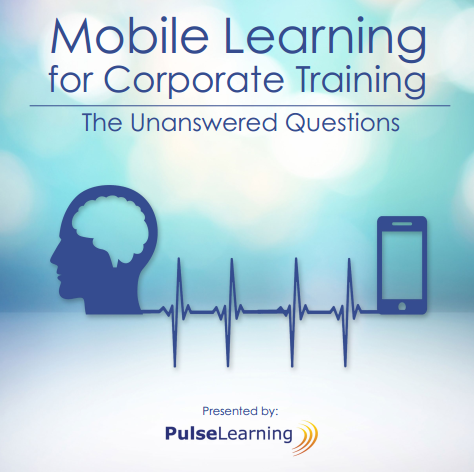 Today, online training is not tied to a specific location or device. Modern learners have the ability to expand their knowledge whenever, wherever. But only if the organization places a priority on mobile accessibility. For example, by using a responsive design tool to ensure that everyone gets the best online training experience possible, regardless of their learning needs, screen size, or personal preferences. You can also offer downloadable online training content for those who are unable to get a constant Internet connection. Navigation glitches are never a good thing. However, they can be particularly frustrating when employees need quick access to information. Modern learners are looking for smooth navigation that’s intuitive and user-friendly. That includes valid hyperlinks, clearly labeled buttons, and detailed online instructions. They need to know where each icon will lead them and what they need to do to complete the online training course successfully. It’s also wise to include progress bars and clickable course maps so that learners can navigate with ease. Conduct a round of user testing before you officially launch your online training course to identify any eLearning navigation roadblocks. For example, inactive buttons or icons that are hidden among busy backgrounds. Modern technology gives us the power to create versatile online training tools that cater to different learning preferences and needs. Therefore, modern learners expect to see dynamic multimedia that immerses them in real-world environments or allows them to interact with tools or online training resources they may need on the job. Demo videos, interactive presentations, and engaging podcasts are just a few of the multimedia elements to consider. It’s a good idea to research your audience beforehand to determine which media aligns with their needs and preferences. Modern learners are busy and often distracted. They have to fit online training into their schedules, which means that you have to grab their attention from the start. Then there’s the small matter of simplifying complex topics so that learners actually absorb the information. Visual representations serve both purposes. They add aesthetic appeal to your eLearning course design and improve knowledge retention. For example, charts and graphs help modern learners understand an important sales trend while an online training infographic explores every step of a task, complete with images and text captions. Online training doesn’t have to be bland and boring. In fact, modern learners are looking for some fun and excitement that motivates them. One of the best ways to achieve this is to integrate serious games and gamification elements into your online training course. Serious games allow employees to embark on adventures and advance through levels while expanding their skills. Gamification rewards their efforts and provides immediate eLearning feedback. For example, achieving a favorable outcome during an online training simulation earns learners a badge. Leaderboards are also a great tool to spark friendly competition and increase learner drive. The key is to use the right rewards for your remote modern learners and their learning objectives. Incentives should give modern learners the motivational boost they need to engage with the online training content and reinforce favorable behaviors. Giving your modern learners the online training resources they require is essential for the success of your organization. You need to engage and inspire them so that they connect with the online training content on a personal level. to create interactive and real-world centered online training courses for your geographically dispersed workforce.